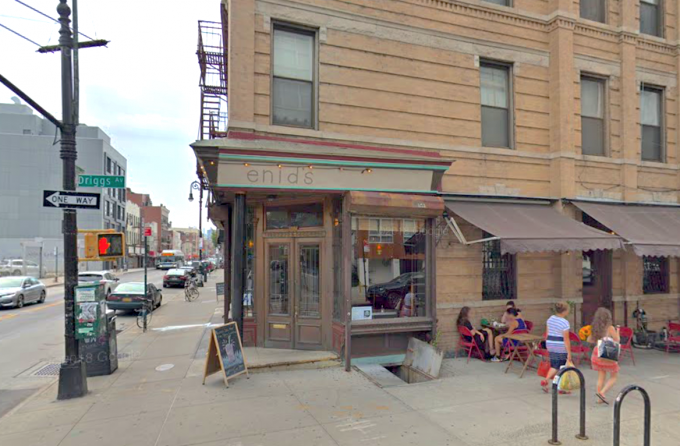 Enid’s, the Greenpoint favorite that opened its doors 20 years ago, will soon be closing them for the last time. The restaurant and bar, located at 560 Manhattan Ave., will be closing up shop for good on March 31, according to an announcement made by the local watering hole yesterday. Enid’s was known for its transformative atmosphere–going from a family-friendly restaurant space during the day to hosting energetic and lively club nights. Patrons of the bar reacted with shock and dismay to the loss of the neighborhood fixture. Many took to Instagram to share their experiences at Enid’s, remembering the friendships and relationships formed among other fond memories at the bar. The restaurant’s owners were unavailable for comment when reached by the Greenpoint Post. With the neighborhood rapidly changing and rent prices skyrocketing in Greenpoint, many began to blame the closure on gentrification. The team behind Enid’s, however, says this is not the case. Concerns about what would eventually replace the long-standing bar were also raised by neighborhood residents, with some worried that a pharmacy or chain store might take over. “What will go in? Lululemon?” one commenter wrote on Instagram.